Greenwashing is the umbrella term used to describe when a brand makes a misleading claim or inference to a ‘green’ product benefit (such as environmental, health, or wellbeing benefit). A claim that makes the product or brand seem like a ‘healthy’ alternative, an environmentally conscious option, when, in fact, it is not. 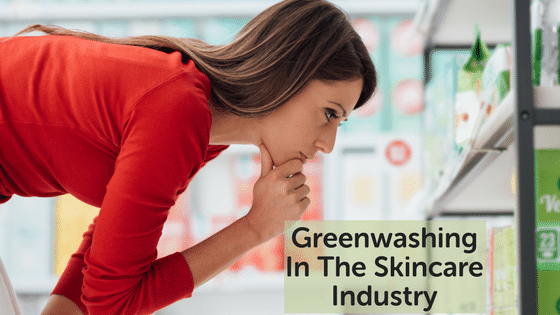 Greenwashing Is unethical, causes confusion and distrust. It happens in many industries, not just across the beauty industry. I was duped not long ago. I was perusing the aisles of a prominent grocery retailer that is famous for their low-cost (but supposed high quality) own brand, and I made a hasty purchase decision. While in a hurry when I walked past the baby aisle and saw an organic baby product advertised. It was low-cost, so I purchased it, not thinking twice about it. I got home, read the ingredients, and was in shock. Without going into further details on this blog – all I’ll say is that I was utterly disappointed, I immediately discarded the product and won’t ever be buying that brand again. Lesson: Do your homework prior, and audit the product before you buy it! Consider all the ingredients that go into a skincare product just as much as what gets left out. Over the last decade, there has been a shift in beauty-savvy, eco-conscious consumers searching for labels that denote health, wellbeing and ‘toxin-free’ claims. However, we’ve seen ‘no parabens’ ‘no sulphates’ etc. plastered everywhere – but this doesn’t mean there aren’t nasty ingredients sneakily hidden within. Labels such as ‘vegan’ and ‘sustainable’, ‘natural’ and ‘organic’ have popped up left right and centre. Brands are vying to keep up with the ‘green’ trend, but they’re not necessarily going about it the right way. They’re investing in smarter marketing, but not necessarily improving the health benefits of their products. The lack of a consistent and cohesive natural/organic regulatory authority/certification in Australia. The lack of ethical cosmetic labelling practices, allowing many companies to masquerade with packaging that does not ethically mirror its contents. The need for more transparent information & education around the ‘bad chemicals’ and ‘nasties’ people should look out for. Education around what ‘natural’ ingredients to avoid because they’re known skin irritants or otherwise harmful. Education on what to use and avoid for babies’ skin which has a different pH level to adult skin. Thanks to the internet (Google, of course, the EWG database, and ethical beauty bloggers), many of you have become just as aware of what’s going ON your bodies as what’s going IN. Studies by the Environmental Working Group prove that the average person exposes themselves to 126 ingredients in total. Ingredients that are commonly either synthetic, toxic, known skin irritants or carcinogens that can play havoc with our hormonal balance. Our skin is a barrier but it also has pores that absorb – and studies have found it hard to prove just what gets absorbed and what impact this has on the body – no matter what ‘facts’ you see flying around on the internet. Some of you have educated yourselves to dig deeper beyond the marketing claims plastered so haphazardly on product packaging – (a brand’s first drawcard into convincing a consumer of its many wonders and benefits). You’re flipping the box around to search for any hints of nasties. You’re checking to see if the packaging is recyclable. If the ingredients are ethically farmed and perhaps even vegan. There is a major piece of the puzzle missing here though. Quite simply in Australia, a product can be labelled ‘Organic’ with minimal organic ingredients. And there may also be some synthetic ingredients too! Many companies still get away with claiming ‘natural ingredients’ by way of reference to the inclusion of a 1% natural essential oil! It is frustrating. In Australia, there is no process a brand has to go through to substantiate the product claims. For example, how do you know a product will DO what it says it will DO? It means that in Australia, we have to cross our fingers and hope that we’re purchasing from an ‘honest’ brand that’s not trying to rip us off with their new $120 ‘beauty water’ product. In Europe, each packaging claim must be substantiated by either individual ingredient data or clinical trials. And no stretching of the truth can occur. In Australia, we could be buying a bottle of water with a tiny drop of Lavender Oil in it – with beautiful packaging and some catchy ‘organic’ words splattered all over the packaging. This hypothetical product can claim that it hydrates, removes makeup, etc. and this would be fine. NOT in Europe. So once again it’s in your hands to do your homework. What ACTIVE ingredients does the product contain? For proof of certification if that’s what’s being claimed. Exactly WHICH ingredients are natural/organic and in what concentrations. Are there any known carcinogens, toxic ingredients, hormone disruptors, synthetic ingredients. Check ingredients against EWG’s database. What Dermatologically tested is a good sign, but not the only one to look for. References to ‘single’ ingredients mean they’re trying to reel you in by one ingredient’s benefits. With ‘vegan’ ingredients this doesn’t mean the whole product is vegan. Look for brands that make a ‘whole’ claim such as ‘100% plant-based’ and not just a simple wishy-washy generalised ‘organic’ claim. Look for brands with trusted ‘certifications’ through a third party organisation. There are a select few brands I know and trust, and I continue to be a lifelong customer. I know and that every product will be sourced sustainably, I know that their packaging will be eco-friendly, their ingredients are safe and natural, and they won’t spin fairytale stories in the marketing campaigns. Likewise, I avoid brands that I feel have misrepresented/exaggerated claims before. If they’ve done it once they’ll most likely be doing it across their brand and range. 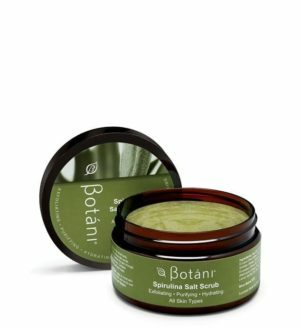 I can tell you with every ounce of confidence that greenwashing is something that never has, and will never occur at Botani. We never claim something we’re not. Our ingredients are sourced so meticulously. 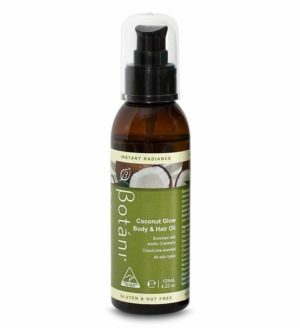 We use a blend of natural, wild-crafted, and certified organic ingredients. Being truthful is part of our Ethos. We take our ethos very seriously as it guides our products, innovation, and everyday practices. The ingredients work synergistically, so they don’t counteract one other and make the other ineffective. There is the right mix of oil and water to provide a balanced texture; non-greasy but long-lasting hydration. 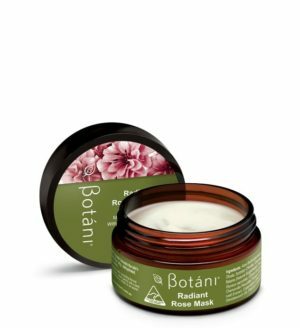 The right blend of botanicals come together to treat skin conditions and perform important functions at a cellular level. The product is subject to vigorous efficacy testing, by humans, not animals and no humans harmed! Promise! We make sure it does what we say it does. There are no known skin irritants. There is NOT, and WILL NEVER BE any synthetic, human-made, chemical or harmful ingredients in ANY Botani product. Have you buy something you thought was good for you but upon further research, wasn’t? Share some of your greenwashing stories with me.